Oh really? I've read 1/2 size sometimes and others say they fit spot-on. I can always do a $20 off coupon on the Adidas site (with a new email). My Freerides fit just like my old Giro Jackets did which was pretty spot on. Brendon Fairclough has been using them in the bike park, which makes me think they'll be fine. Gonna have to get my hands on them to find out. The Sleuth DLX certainly appeal to my vanity. First time I hit this trail with flats, so much better than riding it with SPDs, its kinda gnar by my standards. I'll just try so much more knowing I can plop a foot down. I used Powergrips for many years before using Crank Brothers. I just got back from a week at Moab and I used flats after years of riding cleats. What a difference it was, night and day really. Not only from the standpoint of being able to put a foot down easily as needed but also, when staring from a stop, my foot was on the pedal ready to go in an instant. I wore a pair of hiking boots which worked out good as they are somewhat high-tops so they offered ankle protection as well. spent the weekend with the usual suspects at Kingdom Trails in VT. So so good. Flats were nearly perfect... awesome for digging in on berms, for spinning uphill and for remembering that riding is about fun. Just got a new bike and I'm going with flats from the start. The best shoe I have found so far is the Altra HIIT shoe. It would be great to find a flat pedal shoe that my foot fits in but so far that ain't happening. I have some Shimano's showing up at REI this week so there is still hope. Well those Altras had to go back. Whatever that mesh material the uppers is made of really pinches the toes when walking. Hard to believe things like that actually get approved. I got the Shimano GR7 and it seems pretty good. Toe box isn't as good (wide) as the Altra's but life is compromises. I jammed the shoe stretcher in there for a few days. It only helped a little. Those shoes are well put together. I got the shoes, I got the pedals, now I just need to get the skills. People in the hiking community either love or absolutely hate Altras. They have a reputation of disintegrating pretty easily. I've been riding spd's pretty much since they were invented and I started mtbing, but a year ago I moved to an area where the trails are a lot steeper and technical so I've been pondering switching to flats. I've tried it a few times and it definitely feels very awkward. I'll do my best to keep trying though, which I'm pretty sure was mentioned upthread (ie, that it's a pretty different feeling and it takes a while to re-learn). I've only got skate shoes for now, but have some proper biking flat shoes inbound (a deal on some shimano gr-9s). 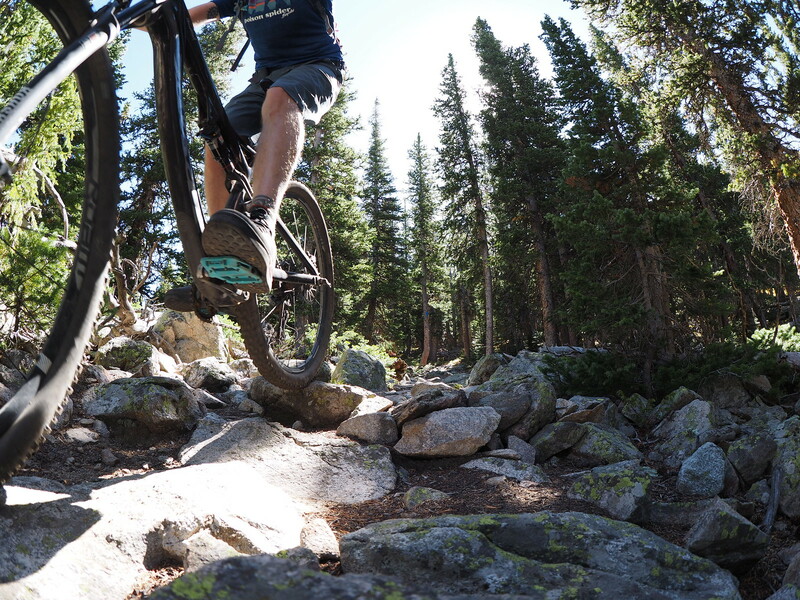 Anyways, ex-trials star MTB'er Ryan Leach does online courses which are pretty well-regarded, and he's offering his intro to flat pedals for free for the rest of the month. Nothing to lose on that one, so I just signed up. A drill-filled guide designed to help you discover the technique and style gifts of flat pedals. Weirdest thing I have to report on flat pedals, my feet don't get cold. In SPDs I had cold toes below 50 and frozen numb feet below 35(even while wearing winter SPDs boots). With my 5.10 low tops my feet have not been numb once riding 25°F or higher. It's amazing. I see 5.10 do sell primaloft lined ones, but I fat bike in real cold temps so I just wear boots. Although if anyone has used the primaloft 5.10s I would loved to hear. I bike commute in the high top version in boston winters. They’re certainly waterproof and with a wool sock ive only had issues with numbness due to the tightness of my holdfast straps or because my socks got wet from sweat or an above-ankle puddle dunk. I usually get two seasons out of them before the salt turns them into bricks, but theyre great otherwise and id say take a look at them with one caveat...If you ever have to walk on slippery or steep ground, youre gonna have a bad time. I have shimano spd sls on my Kirk MRB for road and a bit of gravel, and the sensation when climbing and working on the upstroke is very pleasant and efficient. On my MTBs someone knowledgeable persuaded my to switch to flats from SPDs and I was sceptical, but am a convert now. As for shoes, I have a few pairs of semi retired light hiking/approach shoes from the main European manufacturers (Scarpa etc). They all have vibram or similar soles that are a bit worn, but they grip really well on the pins and because the soles are still firm rubber, they do not get ripped apart. The confidence of knowing you can dab when in a bit of trouble and the general convenience on and off the bike is terrific. regards from Tyrol.